We have been designing and crafting custom cabinetry, fine furniture, and architectural woodwork in our Edison location for over 46 years. We work with companies and home owners directly as well as through the customer’s architect or interior designer to develop and complete projects. Our work has varied greatly over the years in both styles and materials used. 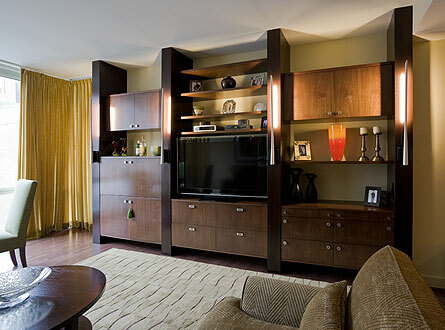 Styles have been from traditional to contemporary using a variety of materials including various woods and veneers, metals, laminates, and glass. Please take a moment to look through our web site viewing some of our completed projects and learn how Bennett Cabinets can help you plan and complete your next project.